Before applying for a reverse mortgage, you are required to attend a 3rd party counseling session. The U.S. Department of Housing and Urban Development (HUD) sponsors housing counseling agencies throughout the country and counseling is available in many languages. 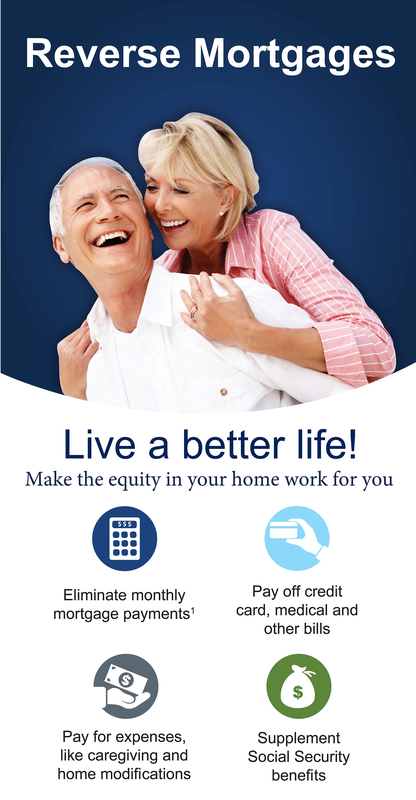 Participating in the counseling doesn’t obligate you to proceed with a reverse mortgage. The purpose of the counseling is to ensure that you have general knowledge of the product and how it works. A HUD-approved housing counselor is an experienced, trained professional who understands Reverse Mortgages. The counselor will go over your pre-counseling document set, discuss with you your needs and circumstances; provide information about reverse mortgages and other alternatives that might be available to you. After successful completion of the counseling session, you will receive three copies of your HUD counseling certificate in the mail and have the option to have your counselor fax or email a copy to your lender. Once you’ve received your pre-counseling document set from us or another lender, you can schedule your counseling session. There is a 3rd party out of pocket fee paid directly to the agency. Your counseling can be done by phone or in person if you have an approved counseling agency near by. You’ll find a list of HUD approved agencies in your pre-counseling document set provided to you. If your looking for a local counseling agency in Florida, visit HUD.GOV’s list of Approved HUD Counseling Agencies. If you have not received a pre-counseling document set which includes your estimated (loan comparisons, closing cost worksheet, amortization schedule, TALC – total annual loan costs) contact us at (561) 203-6772 to get a free personalized pre-counseling loan package.